Curious, you do not have any other winchester clones in .45? Barleycorn Outfitters is a Cimarron, and Taylor’s & Co. authorized dealer. I can order any of their items for my customers. What does this rifle run for in stainless steel? 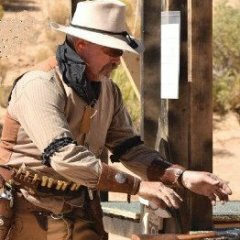 Uberti 73 rifles (and Miroku Winchester 73s) are NOT made in stainless steel. A few have been nickle plated, I would guess, but that would be post factory.